Pastor Ken Dalke began serving The Lighthouse Fellowship in November 2015. 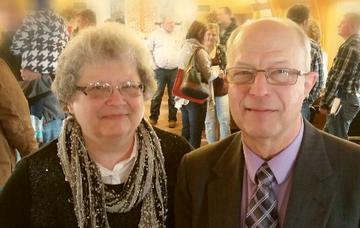 He and his wife, Karen, have been together in ministry for 45 years serving churches in Rural America in Minnesota, Montana, Michigan, Iowa, North Dakota and South Dakota. Pastor Ken graduated from Grace University in Omaha, NE. He is ordained and credentialed with the Fellowship of Evangelical Bible Churches (FEBC), Omaha, NE. The Dalke's have four married children and thirteen grandchildren. Ken and Karen both received Jesus Christ as Savior and as children and soon after felt God’s call to ministry. When they met at Grace U. and married, that call to ministry was one of the most important factors in God leading them together. In addition to serving as pastor of The Lighthouse Fellowship here in Corsica, Pastor Ken also serves the Neu Hutterthaler Church at rural Bridgewater.